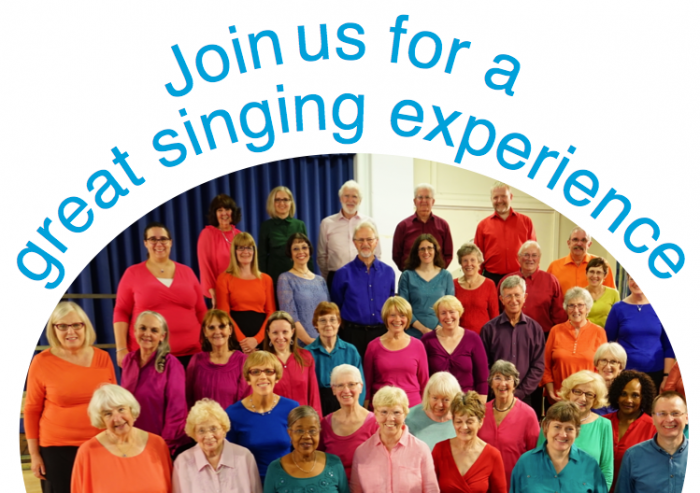 Valentine Singers is a friendly group of around 60 singers with a range of backgrounds and a shared love of choral music. We rehearse on Friday evenings during term time at Seven Kings High School. 494 Ley Street, Ilford IG2 7BT. All prospective members are invited to attend at least one rehearsal before being given a short, informal audition. Don’t be put off by this! The idea is to ensure that all singers are ready to take part in this sort of choral work and to offer advice re training or experience that would be helpful, where appropriate. It also gives the musical director the opportunity to get to know individual singers and their particular strengths. If you think you would like to join please contact us. Auditions are used to ascertain whether voices will fit in (blend, tuning etc.) and whether singers are able to master the musical material that they have been learning in choir rehearsals. Music-reading and sight-singing are not essential but members are encouraged to develop these skills. If you are still not sure come along to one of our regular Open Rehearsals to join in and see what it is like. Valentine Singers frequently hold Open Rehearsals, usually at the start of each term. Singers and listeners are welcome to come along and sample a Friday evening with Christine, Tim and the choir. Any singers who are interested in joining the choir are then encouraged to attend the following rehearsal and, if appropriate, to attend further sessions and to undergo an informal, friendly audition, so that Christine can get to know them and their voice better. Any singer who comes to audition but isn’t yet ready for this sort of choral work will be given ideas and advice about possible training and other assistance. Please contact us to let us know you are coming.